Marc Sneyd scored a golden-point winner for the second time this season, as his drop goal edged Hull FC to a dramatic 31-30 victory over Catalans Dragons. Hull secured their first win in Perpignan since February 2016, and they looked to Sneyd to settle this game after his 50-metre penalty had taken proceedings into overtime. Just as he had done to secure the first golden-point win in Super League in the 23-22 defeat of Wigan in February, Sneyd stepped up to settle the issue in his side's favour. Sneyd also kicked four conversions to add to Josh Griffin's two tries and scores from Jack Brown, Connor Wynne, and Bureta Faraimo. The home side's tries came from Tony Gigot, Jason Baitieri, Benjamin Garcia, Fouad Yaha, and Sam Kasiano. Sam Tomkins kicked four conversions and a penalty. 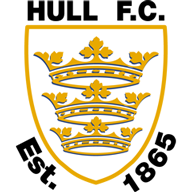 Hull travelled to Perpignan without six first-choice front rowers, and 37-year-old Gareth Ellis was amongst the starters. Catalans opened the scoring in the sixth minute as Tomkins dummied his way through the Hull defensive line, drew the full-back, and passed inside to the supporting Gigot, who touched down under the posts, and Tomkins converted. 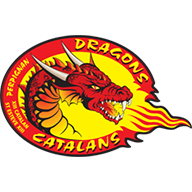 In the 15th minute, Catalans were reduced to 12 men when Brayden Wiliame was sent to the sin-bin for a late shoulder charge on Jake Connor. That did not halt the Catalans' momentum, as the home side extended their lead to eight points with a Tomkins penalty. Hull forced their way back into the game in the 26th minute, when Connor put Brown through a gap in the middle of the Catalans defence and the debutant touched down under the posts. Sneyd added the conversion to take the score to 8-6. The visitors went in front three minutes later, Albert Kelly attacking down the right and flicking a pass wide, and Wynne touched down. Snyed added the conversion to give Hull a four-point lead. With three minutes remaining of the first half, Griffin extended the Hull lead on the back of a set play after a penalty to score down the left edge. Sneyd added the conversion to take the half-time score to 18-8 to the visitors. Shortly after the break, Baitieri charged onto a Kasiano pass to touch down under the posts, with Tomkins' goal taking the score to 18-14. Griffin added his second try of the game in the 53rd minute, pouncing on Sneyd's neat grubber down the left edge. Sneyd added the extras to re-establish Hull's 10-point advantage. Five minutes later, Garcia raced away from acting half to reach out and score under the posts, and Tomkins again added the simple conversion. Hull raced up the field, and a smart flick pass from Connor sent Faraimo over in the left corner to score, but this time Sneyd missed the conversion from the sideline. Yaha touched down for the home side following Gigot's floating wide pass with 13 minutes remaining. 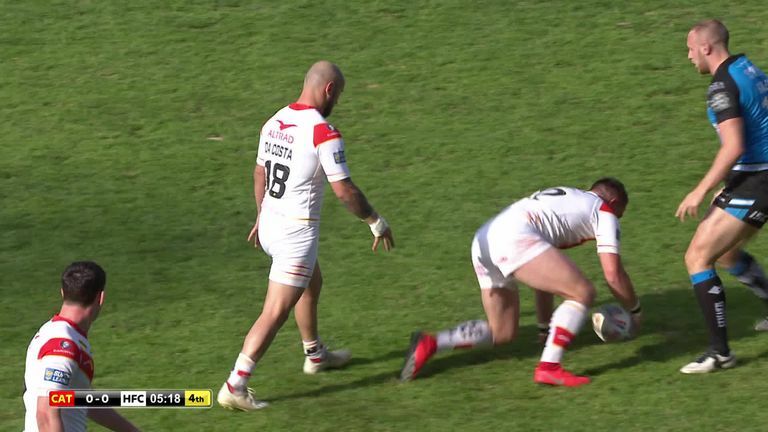 Tomkins missed the touchline conversion attempt to leave the Catalans trailing by four points. With five minutes remaining Catalans' Matt Whitley had a try disallowed for an earlier obstruction, before Kasiano charged his way to the line to touch down one-handed to level the scores. Tomkins' conversion then gave the Dragons a two-point lead. Catalans' Williame caught the Hull restart before it went 10 metres, and Sneyd nailed a 50-metre penalty to level the scores and take the game to a golden point. Sneyd's overtime restart bounced into touch, giving Hull the field position to set up for a drop goal. Sneyd duly obliged with the one-pointer to secure the two points for the Black and Whites.